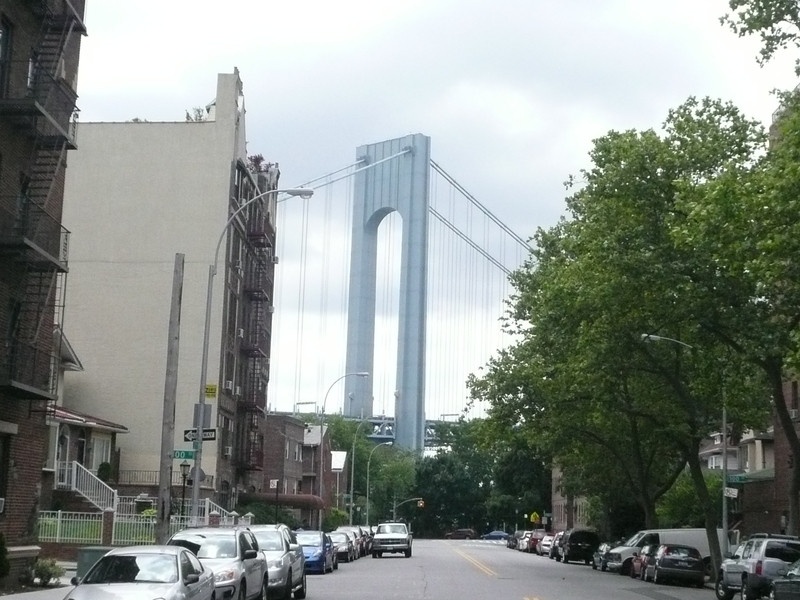 Are You Thinking of Living in Bay Ridge, Brooklyn, NY? What can I say about one of the finest communities in NYC, where I’ve resided for the past 31 years? This is my beautiful, amazing Bay Ridge, Brooklyn, a bit of the “country” in the city. 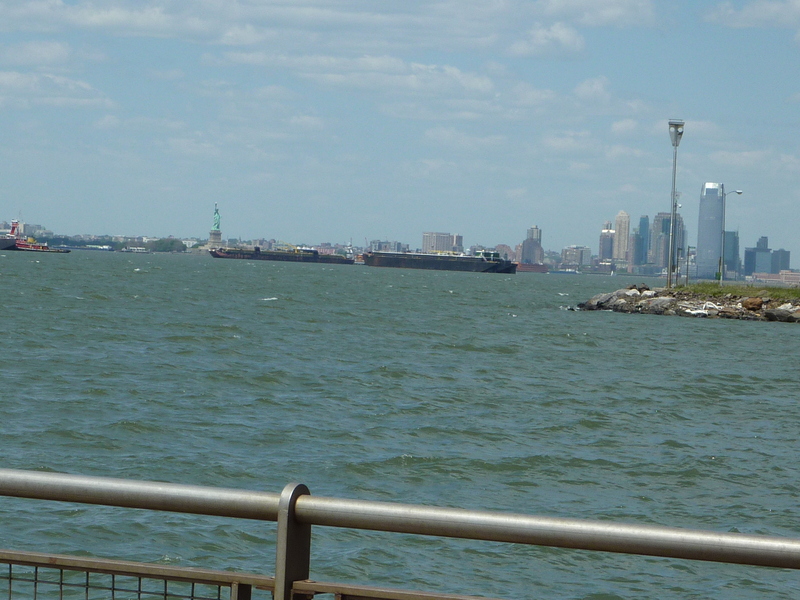 A small town feel at the mouth of the Gateway and the New York Harbor to New York City. A great place to live, work, eat, shop, golf, enjoy community events as well as enjoy a bit of history. What drew my husband & I to Bay Ridge all those years ago was the feeling of community and neighborhood we experienced when visiting friends and relatives here. It offered so much more than the bedroom communities of the suburbs where you might live next to someone for years but never get to know them. 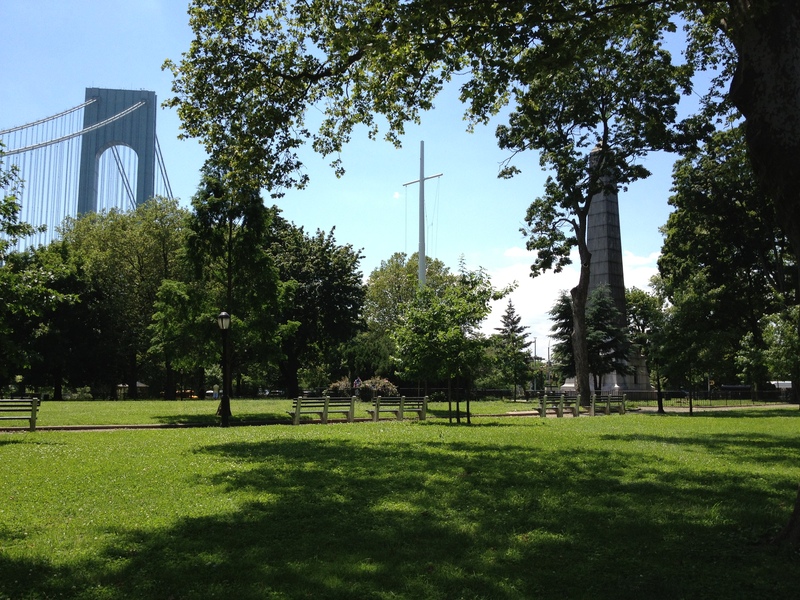 Among Bay Ridge’s many attributes is its wonderful community feeling which makes it a great place to live. Many people tend to stay in the neighborhood for several generations, raising their children, grandchildren & even occasionally great grandchildren here. We’ve also experienced an influx of many residents from other areas of Brooklyn, who were willing to sacrifice a shorter commute to Manhattan for the quality of life & community feel of Bay Ridge. The neighborhood is also a melting pot of so many different cultures, thereby offering a wide variety of little food markets & restaurants. There are many small business owners in Bay Ridge, who actually know your name, adding to that small town feel. When dining in our many excellent restaurants, service is always impeccable. Being in such a “tight” community means people talk so you wouldn’t want to give poor service! There is such a wide variety of cultures that you could dine in a different place every night & not run out of eateries for quite awhile. Some of those are: Greek, Chinese, Vietnamese, Japanese, Middle Eastern, Thai, Polish, Russian, Irish, Norwegian, French, Italian, Mexican, Spanish & Turkish! We also have the best pizzerias! Bay Ridge has a vast array of small locally owned & operated shops which carry everything from bicycles to high end jewelry, clothing & giftware, hand-crafted items as well as great bakeries, florists, dance studios, a well-respected consignment shop, printers, a toy store, a children’s art studio and many more businesses. We are also the home for the (world) renowned Century 21 Department Stores, whose Bay Ridge location was its original store. Anything you need to buy or own can be found in our neck of the woods. Our restaurants & shops are supported by our local, very active & strong 3rd Avenue, 5th Avenue & 86th Street BID’s (business improvement districts), and MerchantsAssociations which constantly beautify the thoroughfares on which the local businesses are located. We also boast a very active Community Board (10) & The BRCC (Bay Ridge Community Council), which are always striving to keep our neighborhood safe & clean. If golf is your passion or you just like to hit a few balls at the driving range, then our critically acclaimed championship Dyker Golf Course is for you. The course is 18 holes on several acres of property, with a recently & beautifully renovated catering & banquet hall for all occasions. Across from the golf course is our new SUNY Downstate medical facility & across from it is our highly regarded prep school, Poly Prep Country Day School, for ages from kindergarten through high school as well as a summer camp. It has approximately 27 acres of prime property with wonderful sports facilities for its students. We also have the most wonderful public & parochial schools, as well as another private school known as Bay Ridge Prep. Further down the road from there is our VA hospital, catering to all veterans & attractively situated on park like grounds. We are also the proud neighbors of The Fort Hamilton Army Base, located along the Shore line, offering facilities & housing to its military residents as well as The Harbor Defense Museum. 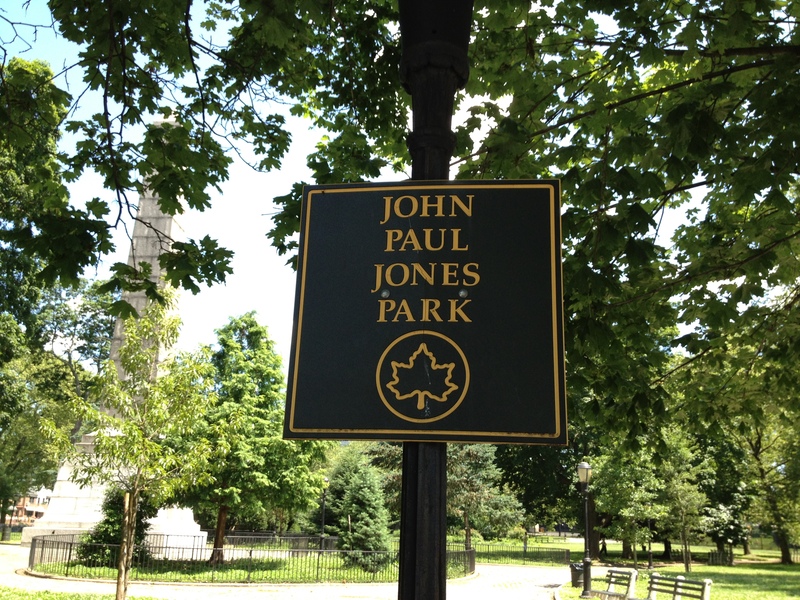 Just outside the main gate is the Episcopal “Church of the Generals” where Stonewall Jackson and Robert E. Lee worshipped The base is also next to John Paul Jones Park (better known to locals as “Cannonball Park”), on 4th Avenue & 101st Street. 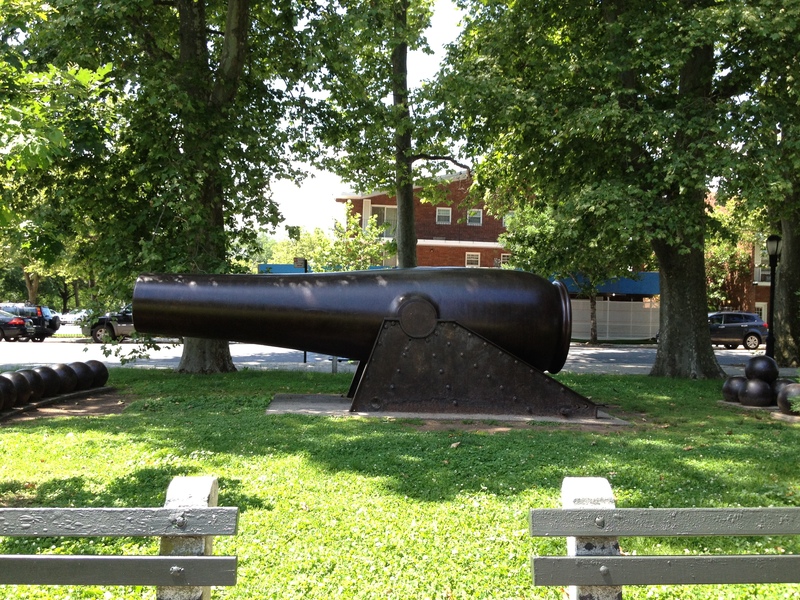 There you will find a monument to the veterans from World War I as well as a very large cannon & cannon balls, which give the park its name. Many people love to gather there for picnics in the park as well as wedding photos. Right there, under The Verrazano Bridge was where the British invasion of August 1776 took place & hence The Battle of Brooklyn/Long Island was fought. From there you also have a beautiful view of the bridge. 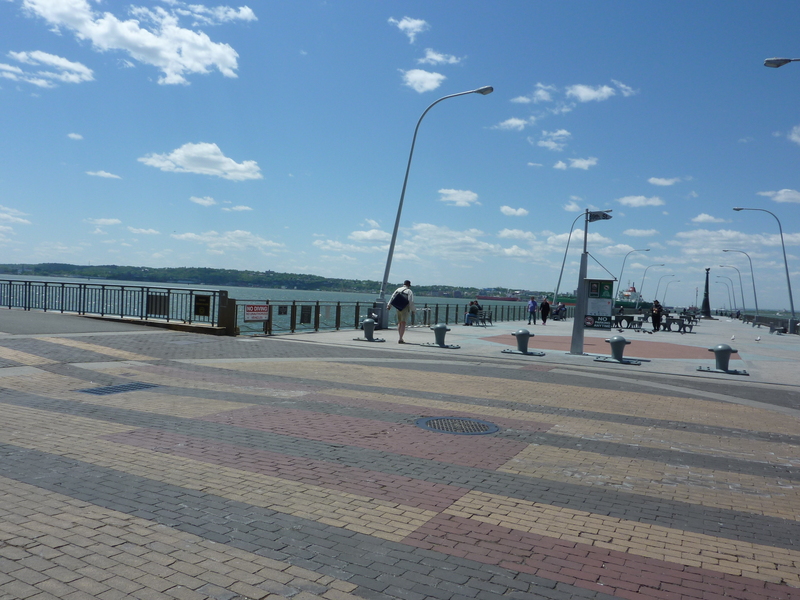 If you cross over the trestle from Shore Road & down toward the water, you will find several miles of “The Shore Road Promenade” which was completely rehabilitated a few years ago. People from all over love to come here to walk, run, rollerblade, bike ride or walk their dogs. On Narrows Avenue & 71st Street is a very small but significant Revolutionary War cemetery. Bay Ridge proudly boasts the honor of having the oldest Memorial Day Parade in the nation! We also have our very own St. Patrick’s Day parade, a NorwegianDay parade & a July 4th parade. We are also a major route for The ING NYC Marathon. Our state senator, The Honorable Martin J. Golden, proudly calls Bay Ridge his home for many years. Since we are in the borough of Brooklyn & part of NYC, our property taxes are low (an average of about $3,000 for a 1 family home, approximately $5,000 for a 2 family & then up from there for multifamily dwellings). While our prices did come down about 10% after the crash, we are very fortunate that we were not adversely affected & seemed to have rebounded. In conclusion, if you’re looking for a great place to live, check out my home town of Bay Ridge, Brooklyn. You’ll love what you see! Julie is a first-generation American and the daughter of two Holocaust survivors, therefore having experienced a very different childhood from most of her friends. Julie grew up & lived on Long Island until she was 23 when she married her husband Steve in 1981. They then moved to Bay Ridge. Julie is a graduate of F.I.T., where she earned an AAS degree in 1977. Julie has only been with 4 different offices in her 25 years in the real estate industry, the first few with Century 21, a small independent company in between and finally the last 12 years with RE/MAX. What sets her apart from others, besides her honesty and integrity, is her sense of humor. She has earned several awards from RE/MAX, including The Hall of Fame in 2006, denoting $1 million dollars in commission earned while with the company. Julie is a Realtor and holds a broker’s license. 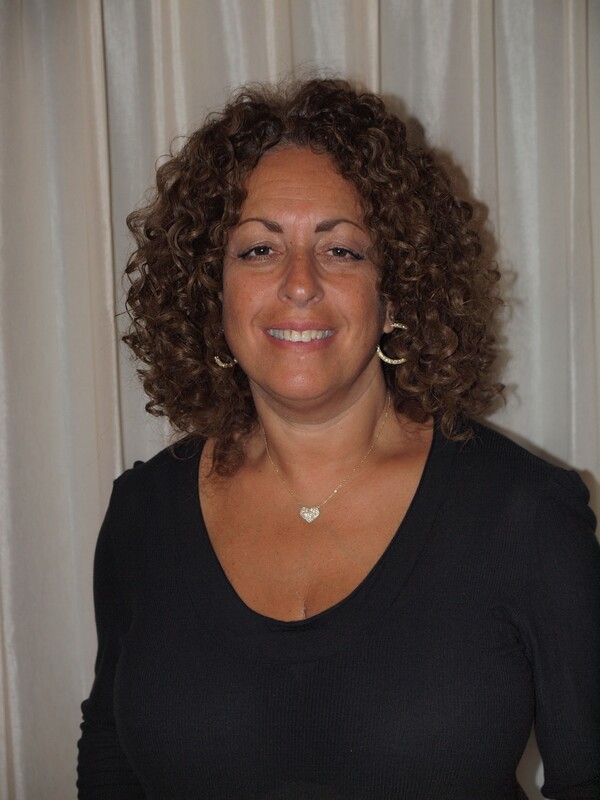 She has earned 4 national professional designations and held positions for The Brooklyn Board of Realtors, The Brooklyn Chapter of The Women’s Council of Realtors, The Bay Ridge Real Estate Board, The Brooklyn Board of Realtors Membership Committee, The Brooklyn Multiple Listing Service and current sits for the Grievance Committee on The BBOR. Her interests include shopping at Malson Jewelers, Pilates, fashion, cooking, baking, and enjoying time with her two daughters. This entry was posted in Are You Thinking of Living In? and tagged bay ridge brooklyn, brooklyn, brooklyn new york, dale robyn siegel, dale siegel, diaries of a mad mortgage broker, julie thum. Bookmark the permalink.